I have to post a photo of our new display in the Friends Bookstore. As always our creative Sue McMillan has a pure knack for a delightful display. 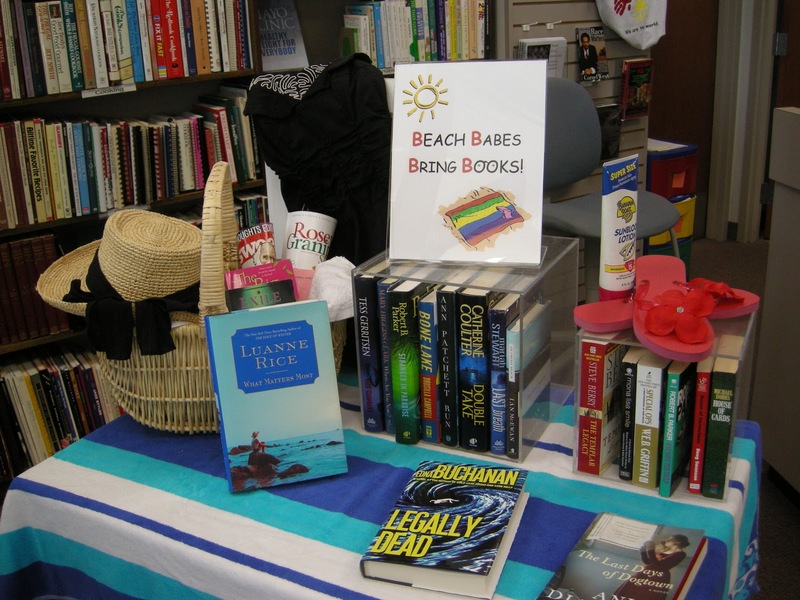 Beach Book Babes unite! This entry was posted in Uncategorized and tagged Friends Bookstore, Summer Reads.